I'm having some issues with the SPA provisioning. 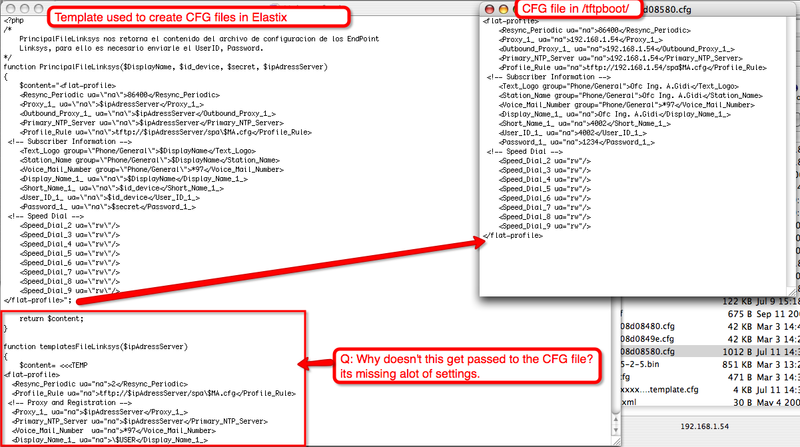 The template file has a bunch of settings that It should pass on to the cfg file. But only half the page gets written. I'm postinga URL with an image http://screencast.com/t/8jwZooOtjZu comparing both the template and the actual cfg file that comes out from it. Anyone with coding experience can ID if the code is missing something? or why its not passing the rest? Any luck with this? I am also having the same problem. Re: Re:SPAXXX configuration Broken template?